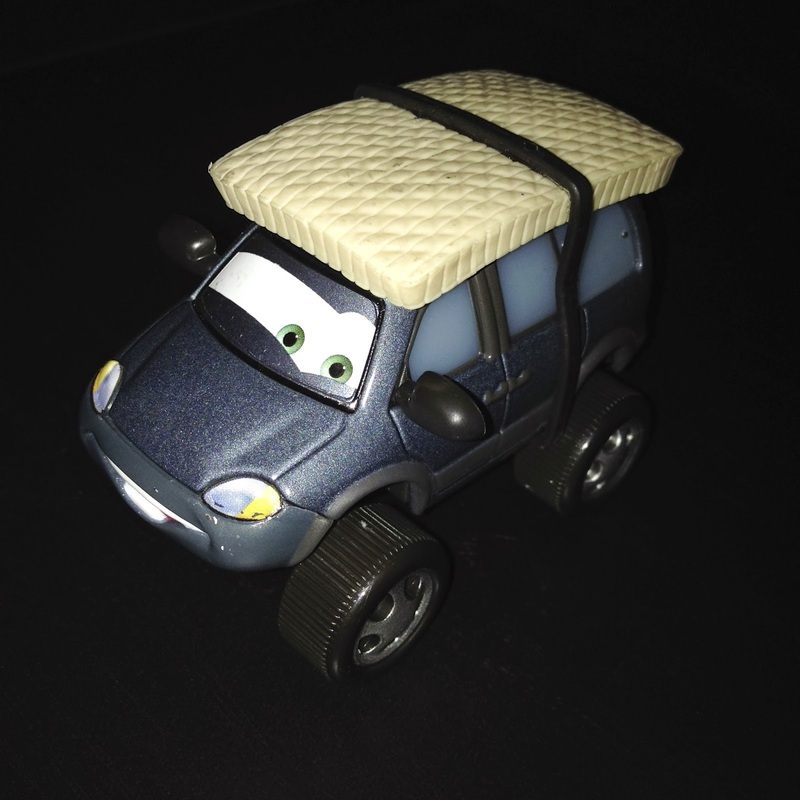 In the original Cars, Leroy Traffic is first seen passing Mack on the highway with a flat tire, in which Lightning Mcqueen responds; "A mini van"?! This version of the character, Leroy Traffik with snow tires, represents his second appearance on screen (during the end credits) where is seen coming out of Casa Della Tires with brand new heavy duty snow tires (as shown in the screen shot above). This is a 1:55 scale "Deluxe" size diecast from Mattel and was released in 2011 (see packaged photo HERE).